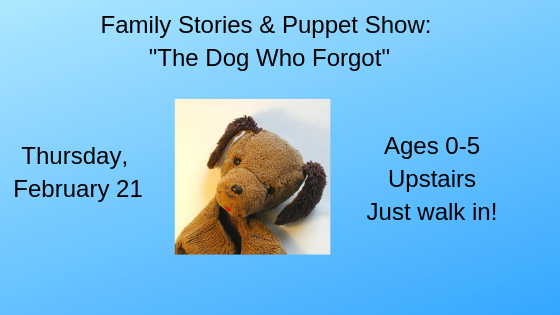 Listen to stories, dance, and watch a brief puppet show, “The Dog Who Forgot.” Ages 0-5. Upstairs. Just walk in!